Bozenna Pasik-Duncan received her Master's degree from the Mathematics Department of Warsaw University in 1970, and her Ph.D. and Habilitation degrees from the Mathematics Department of Warsaw School of Economics in 1978 and 1986 respectively. She was a staff member of the Mathematics Department of Warsaw School of Economics from 1970 until 1983. In 1984 she moved to the University of Kansas, where she is a Professor of Mathematics. Dr. Pasik-Duncan's research has involved several problems in the area of stochastic processes and stochastic adaptive control of continuous-time linear and nonlinear systems without and with delays. Her current interests are primarily in stochastic adaptive control of distributed parameter systems, stochastic adaptive control of partially observed systems and computational aspects of stochastic control. Her other current interests include mathematics education at elementary schools and mathematics education for women in science and engineering. She is a member of the KU Mathematics Education Committee and KU Women in Science and Engineering Club. She is the author of over 100 technical articles and 3 books. She is currently chair of the Stochastic Adaptive Control Seminar at KU and she currently supervises 10 students. Dr. Pasik-Duncan is a recipient of the NSF Career Advancement Award, an Excellence in Teaching Award from the Ministry of Higher Education and Sciences in Poland and several Chancellor's Awards from the Warsaw School of Economics for her research and teaching. She was an IREX Scholar to the United States in 1982 visiting several universities. She has held several visiting appointments in Poland, Hungary, Czech Republic, France and Italy. She served as Vice President of the Warsaw Chapter of the Polish Mathematical Society in 1972-82 and as Chair of the Center of Applied Mathematics of the Polish Mathematical Society. She is currently USA coordinator of Polish Mathe maticians. She was an organizer of the National Conference on Education of Mathematics in 1979 in Poland and co-organizer of the International Workshop on "Stochastic Theory-Adaptive Control" in 1991 at KU sponsored by NSF and KU. She has organize d special sessions at several IEEE CDC Conferences. She was Program Director of SIAM Activity Group on Control and Systems Theory from 1992-1995 and is a member of SIAM Master Program Committee. 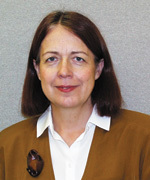 She has been a member of the Organizing and Program Committees of several international conferences on Control, among them the 1994 and 1996 Annual SIAM Meeting. Dr. Pasik-Duncan has been enjoying and actively involved in the IEEE Control Systems Society in a number of capacities, such as Associate Editor of IEEE Transactions on Automatic Control from 1990-1994, an appointed member of the Board of Governors of IEEE Control System Society from 1991-1992, and is currently serving as Chair of the standing committees on Assistance of Engineers at Risk and "Women in Control", as Associate Editor at Large of IEEE Transactions on Automatic Control. She is also a member of the Board of Governors of the IEEE Control Systems Society and Vice-President of the IEEE Control Systems Society. She is a recent recipient of the Kemper Fellowship for Teaching Excellence and Advising in Public Outreach. She has established a partnership in Math Education between the Lawrence Elementary Schools and KU Math Department and sh e is planning to have a Children's Math Laboratory in conjunction with the KU Stochastic Control Group Program.